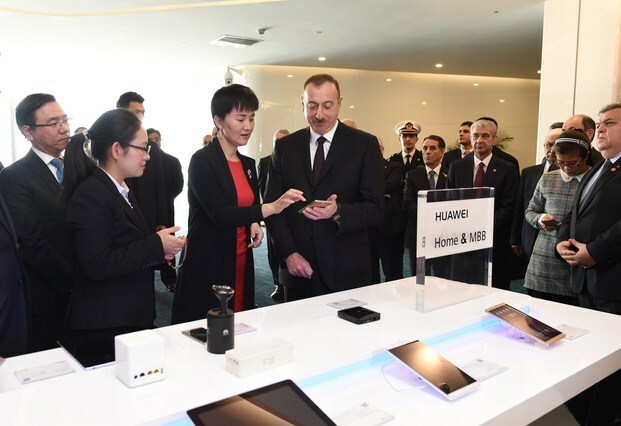 President of Azerbaijan Ilham Aliyev visited the exhibition center of Huawei in Beijing. 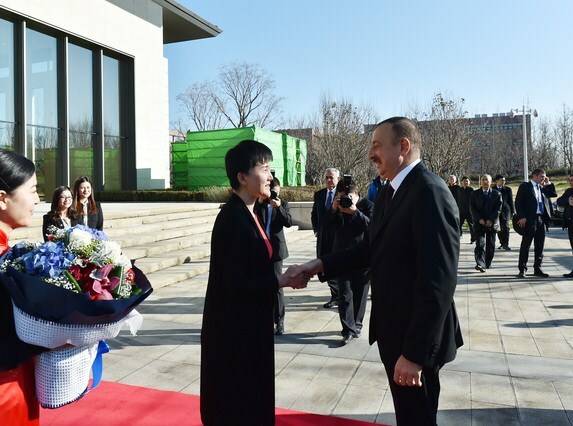 The Head of State was informed that the center is a space of high-level strategic dialogue. The center provides customers with detailed information on future tendencies, challenges and strategies of the company, their solutions are explained according to their interests. 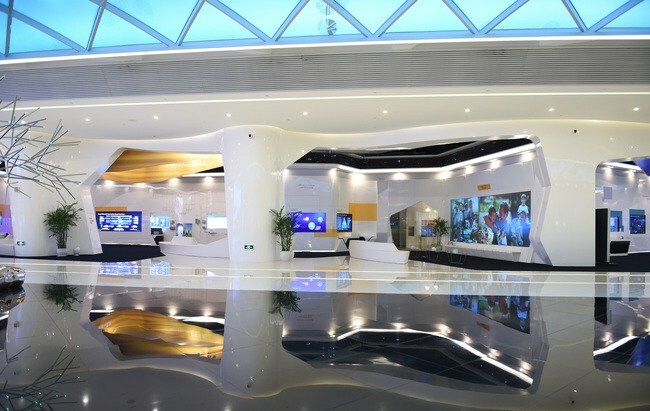 The center has four exhibition halls. In these sections, information is provided on future strategic talks, digital individual, digital home, flexible digital business, experience in central operations, information technology infrastructure, digital enterprise and innovations. In addition, information on strategies of the company for 2020 is given in the center. 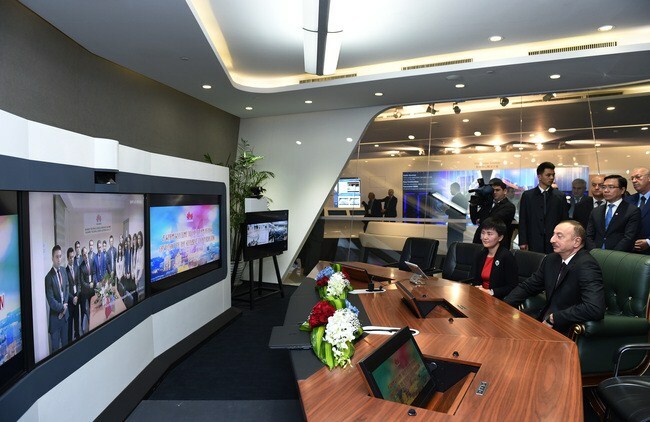 A direct communication was established with the employees of Huawei office in Azerbaijan. 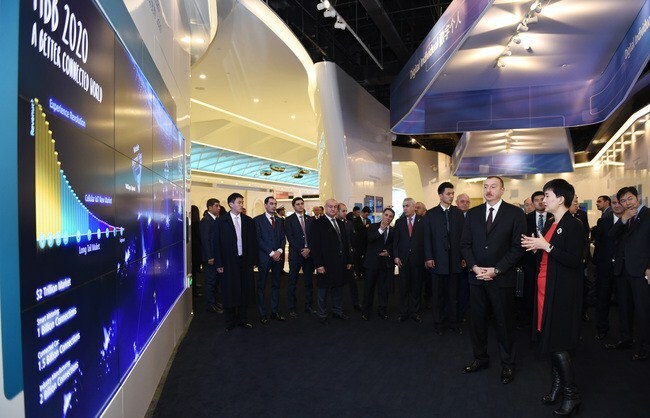 The President said Azerbaijan pays great attention to the development of information and communication technologies (ICTs), and the country has obtained good results in this field. 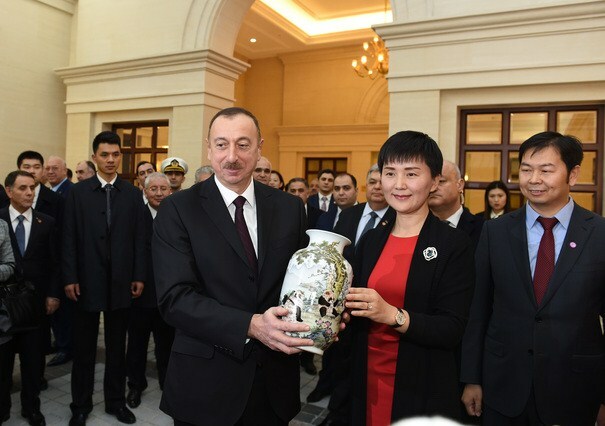 President Ilham Aliyev stressed that there is a very young team representing the company in Baku. 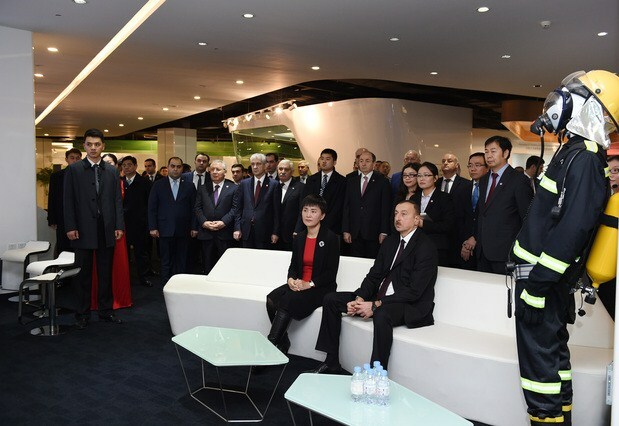 The company employs both local and Chinese experts, who strengthen the friendly ties between the two nations. 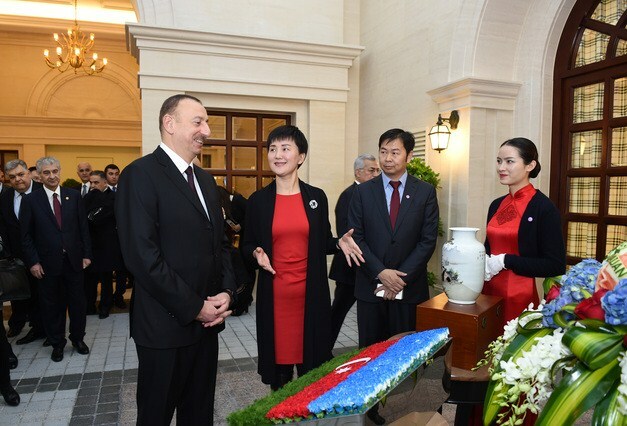 Representatives of the company’s Azerbaijan office informed the president on their activities and projects implemented in Azerbaijan. Note that Huawei is one of the biggest companies in China. 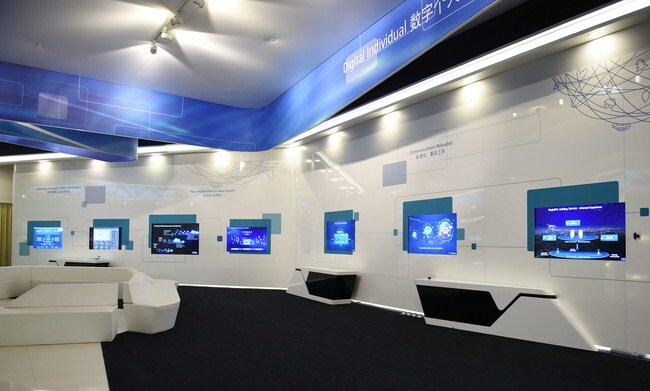 Founded in 1978, Huawei’s solutions and products include wireless, base and transportat networks equipment, network devices, optical devices, routers, network switches, applications, hardware, terminals and others. The company is increasing its success year after year. 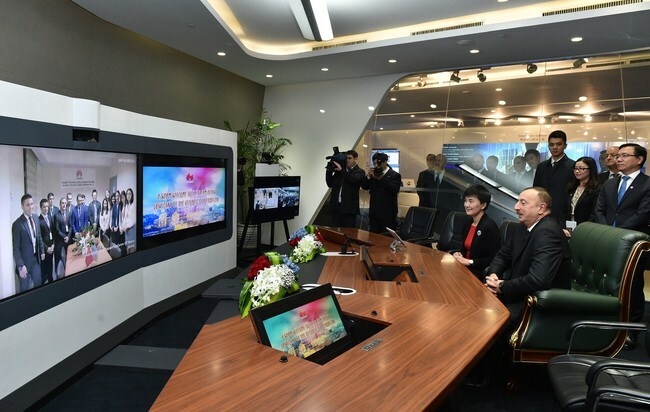 Applying innovations in its activities in the field of telecommunications in the world and making special contribution to this field, Huawei showed growth in new generation network segment in 2006, including 3G network. Therefore, Huawei is considered to be the world’s largest company which manufactures telecommunications equipment. Currently, the company has research centers in 20 different countries. 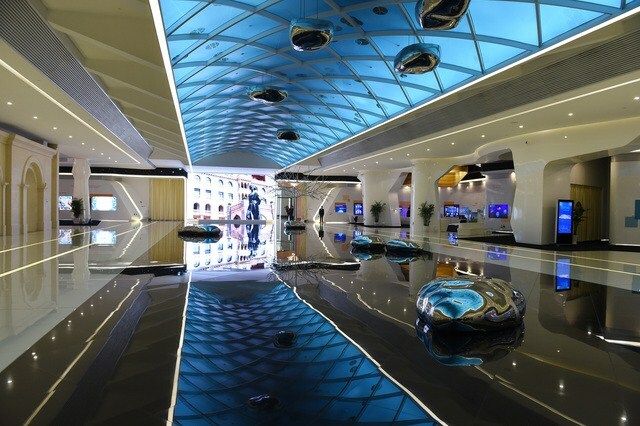 Huawei employs over 170 people. Of those 76,000 are engaged in research. Products and services of the company that enjoy great popularity, are used in more than 140 countries. The company provides services to 45 out of 50 largest telecommunications operators in the world.